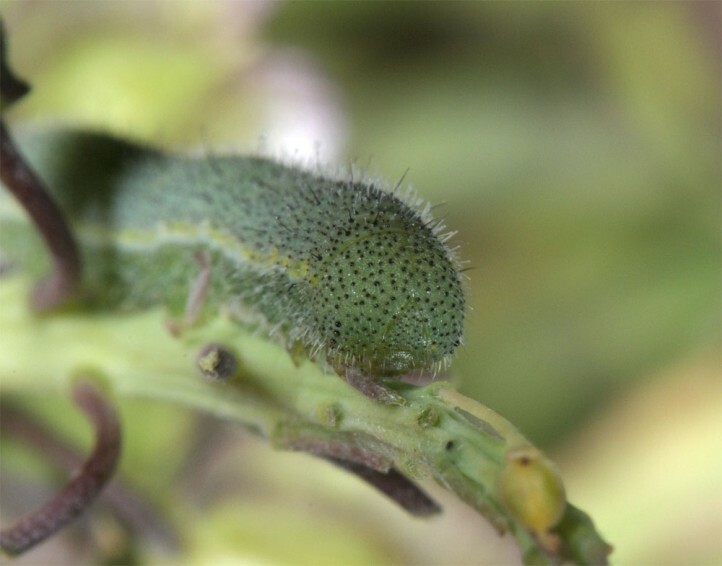 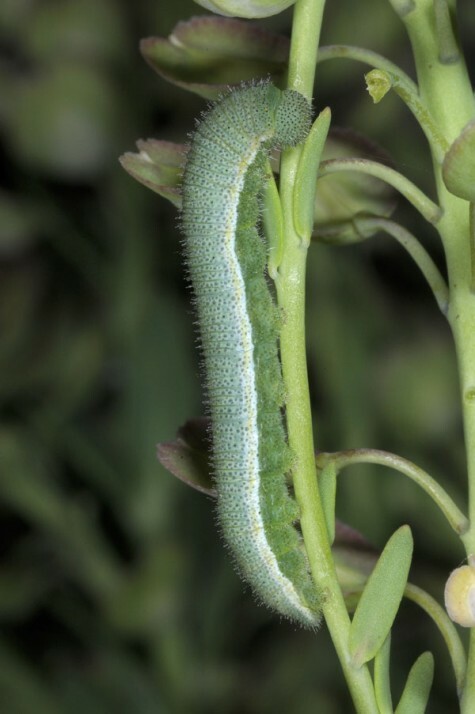 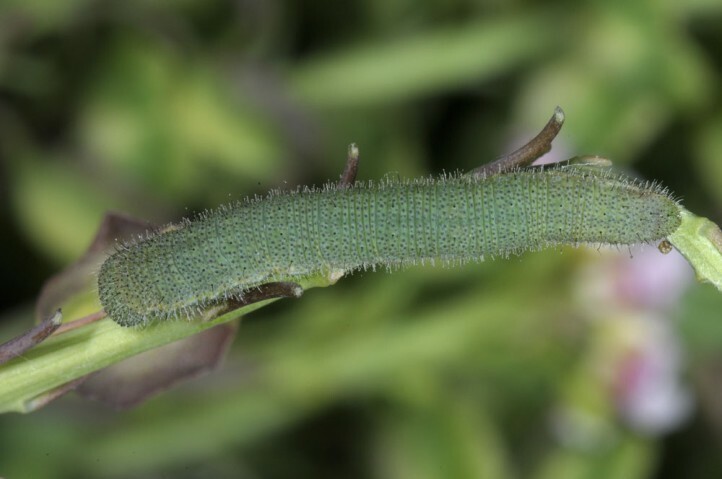 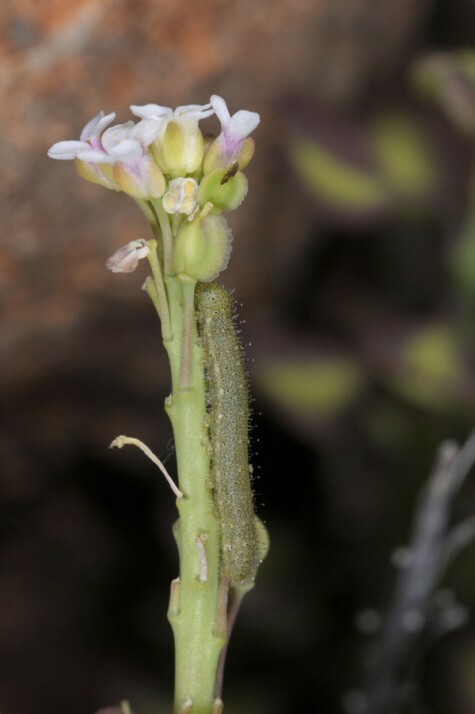 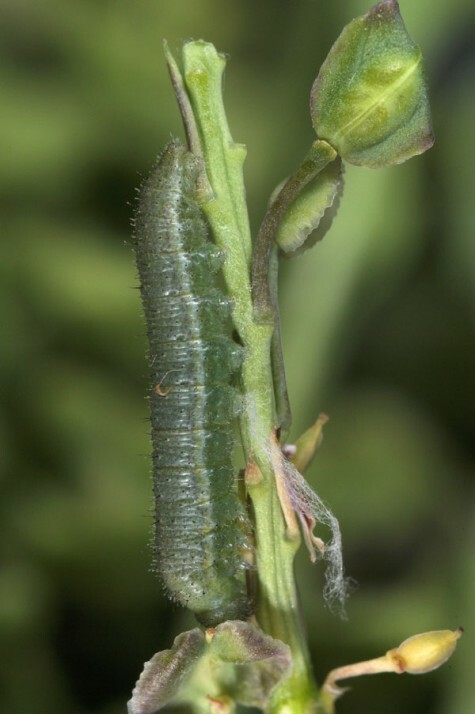 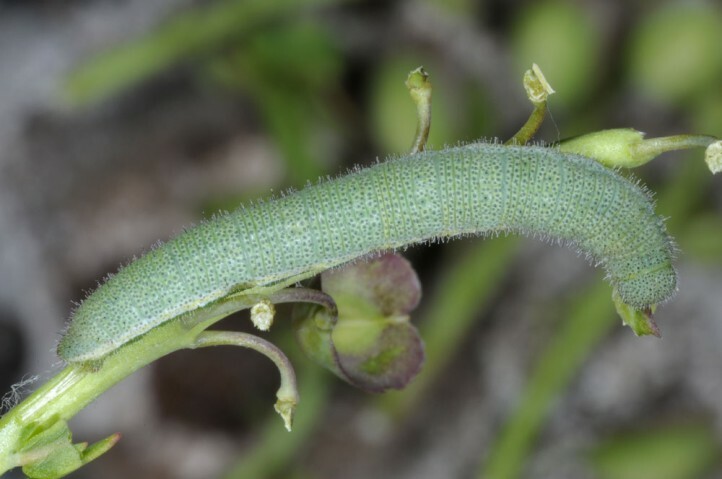 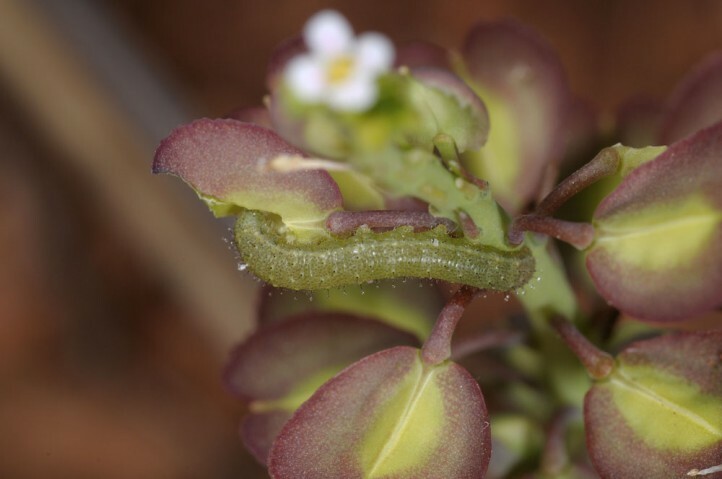 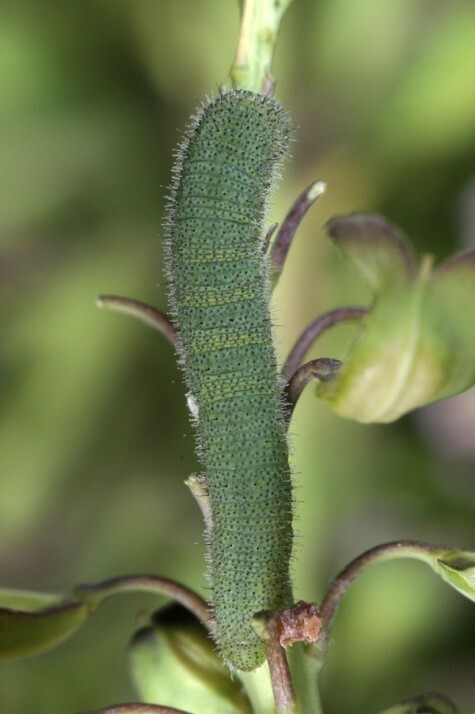 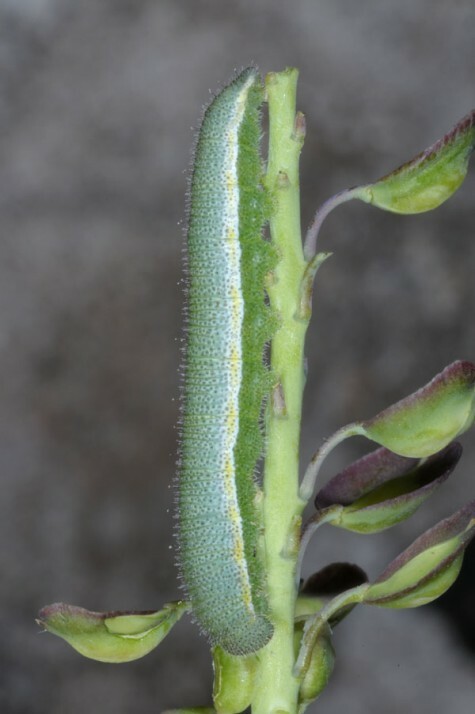 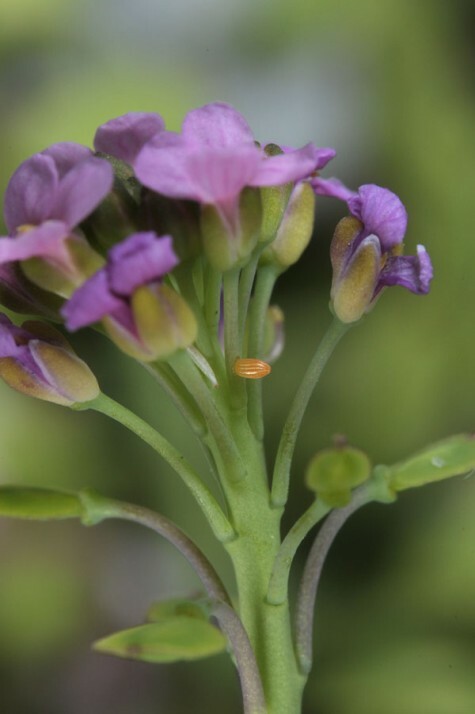 The caterpillar lives on a few tiny-flowering Brassicaceae, especially on Aethionema species. 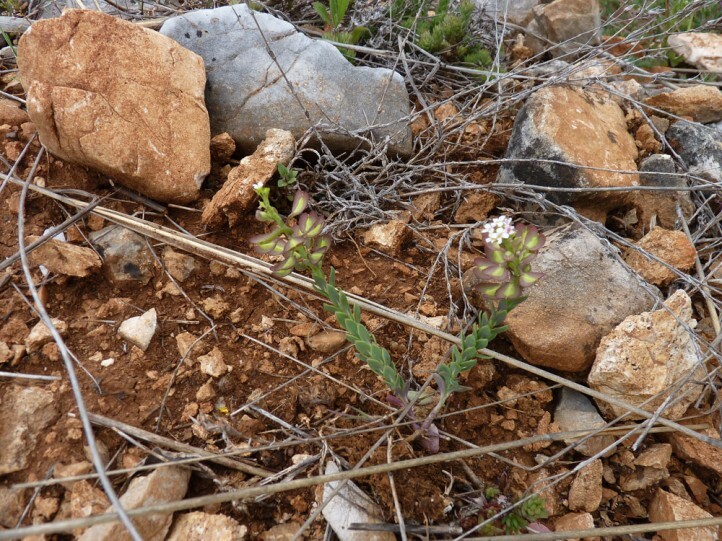 Anthocharis gruneri colonizes shrub rich and dry slopes, rocky embankments, stony road sides and similar dry and warm places with open soil. 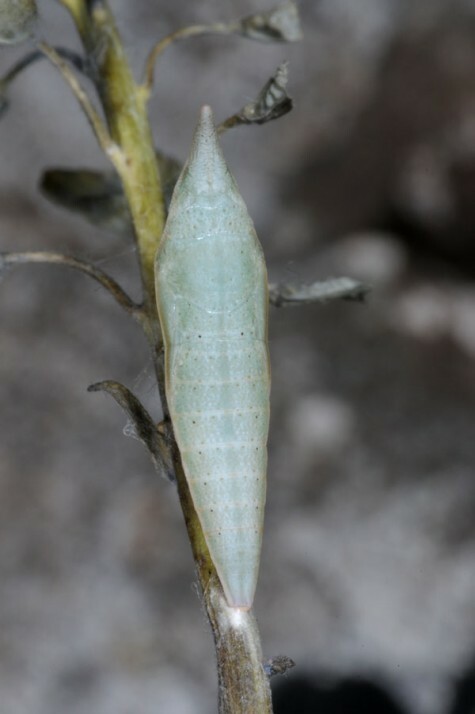 The larvae are recorded at fully sun-exposed spots as well as at semi-shady ones. 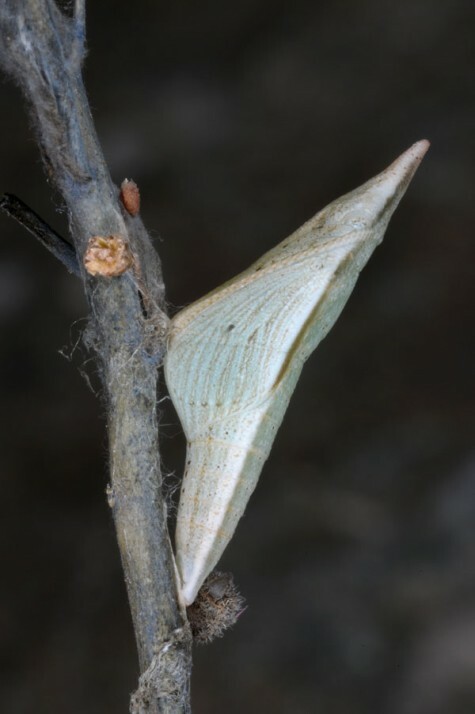 The pupa hibernates and the adults fly from late March to late May. 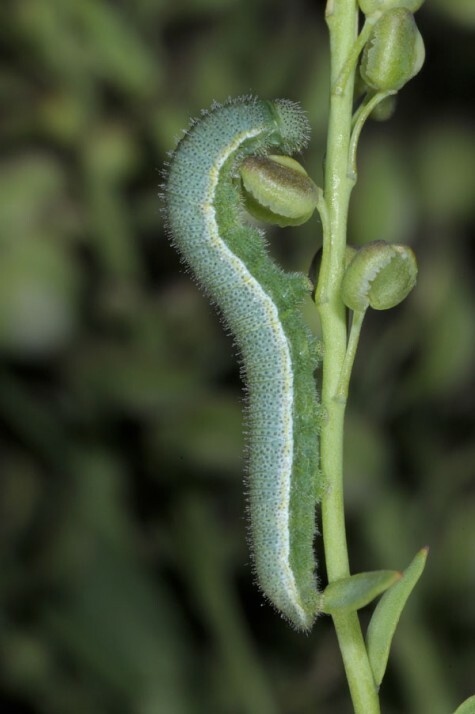 The caterpillar might be expected from late April to June. 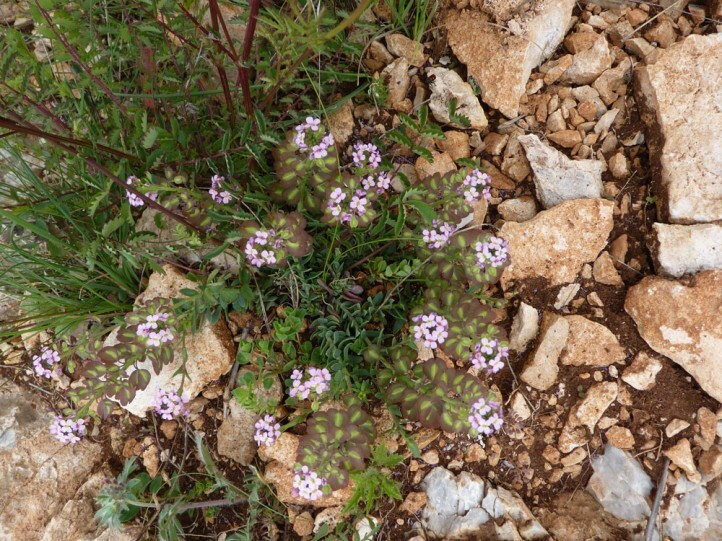 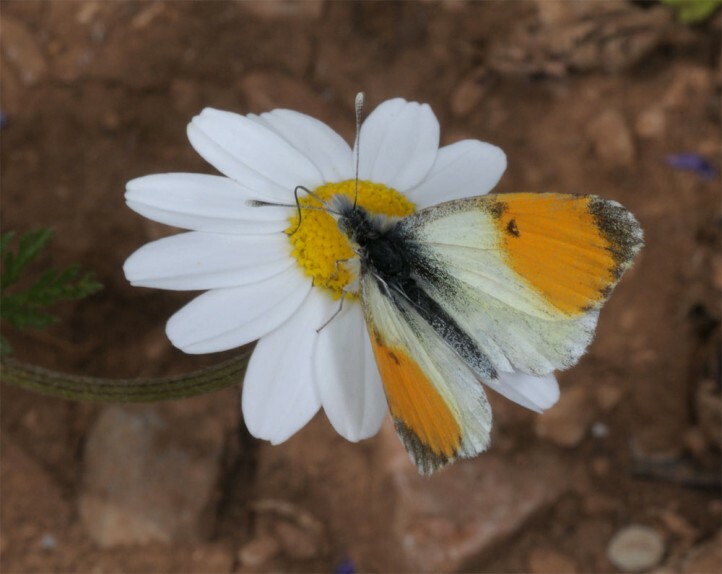 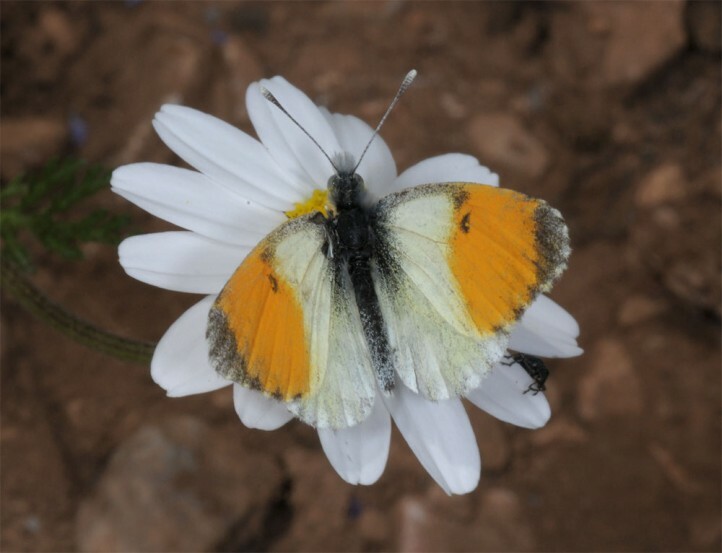 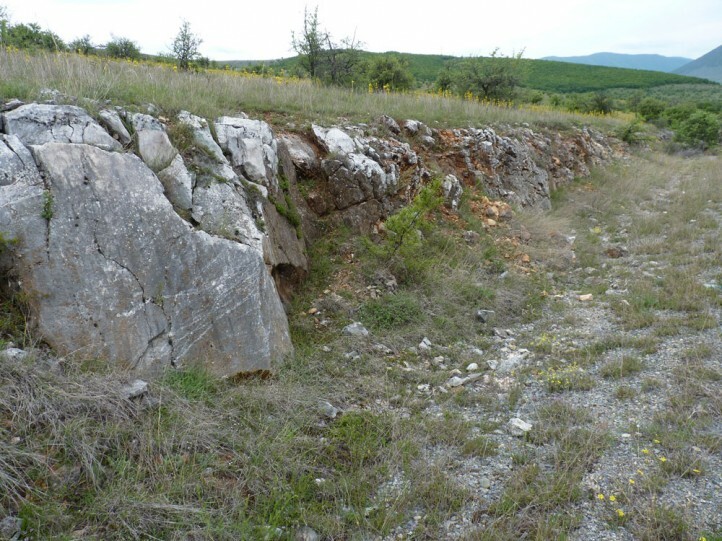 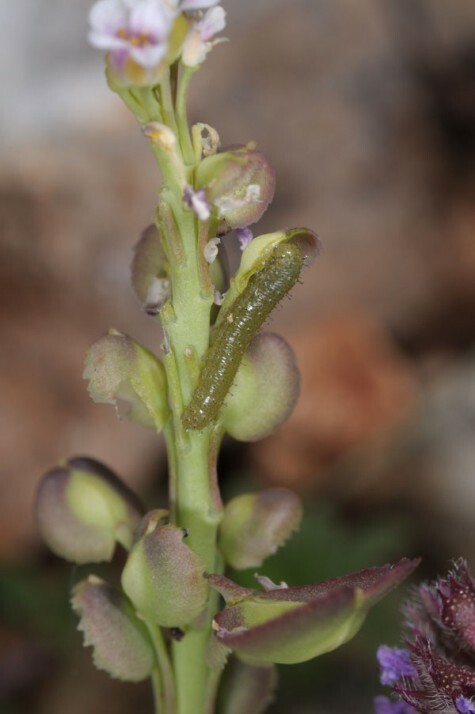 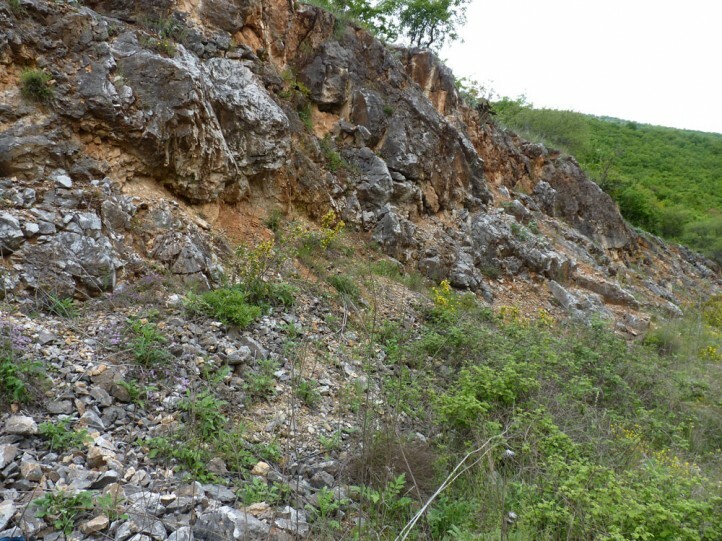 I recorded eggs and young to half-grown larvae quite common alway on Aethionema at suitable places in Northern Greece (Siatista, Kozani) in 800-1000m asl in mid-May 2014. 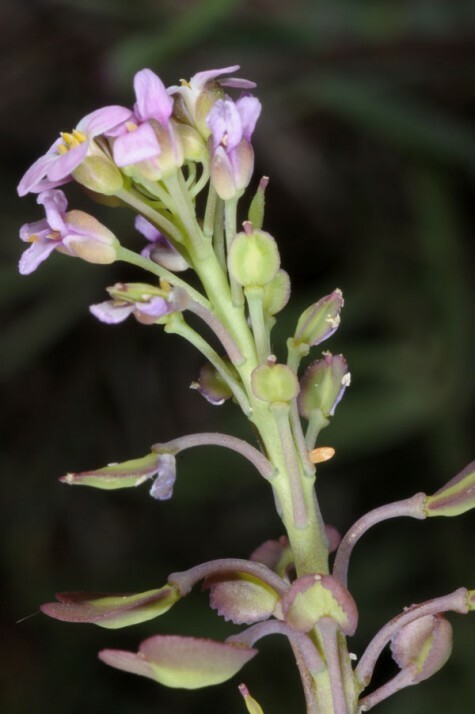 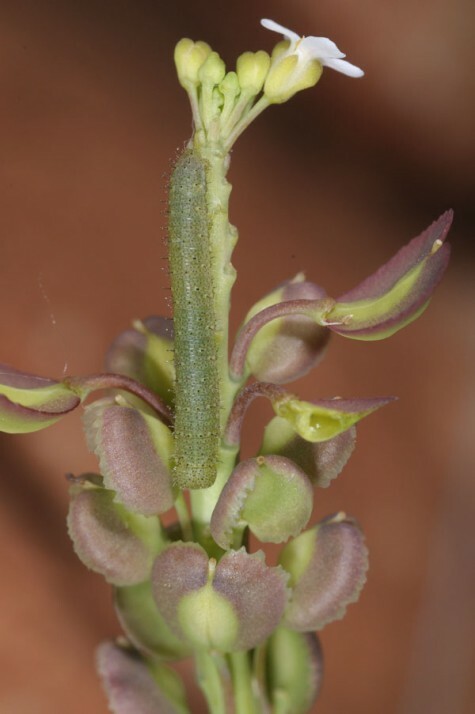 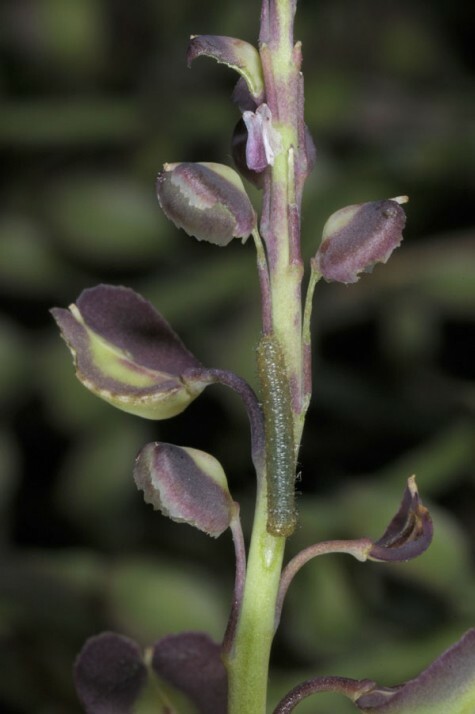 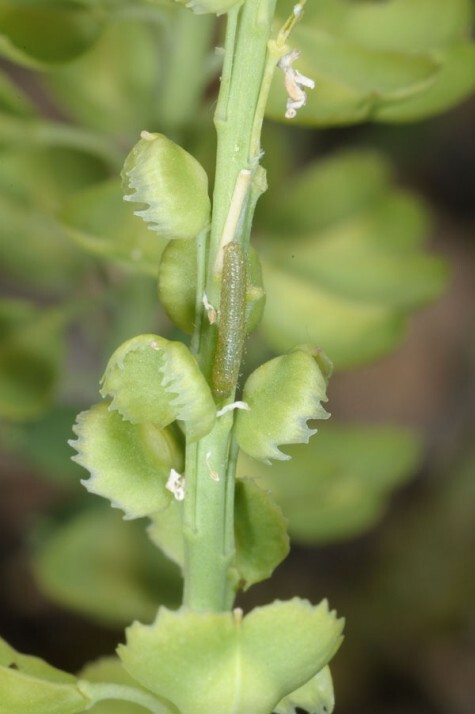 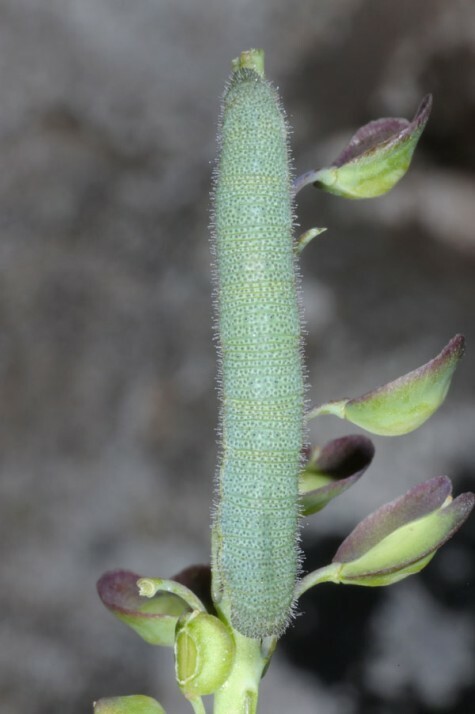 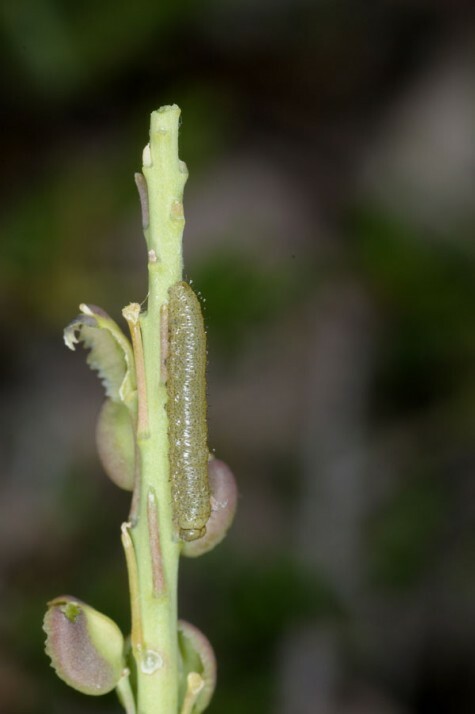 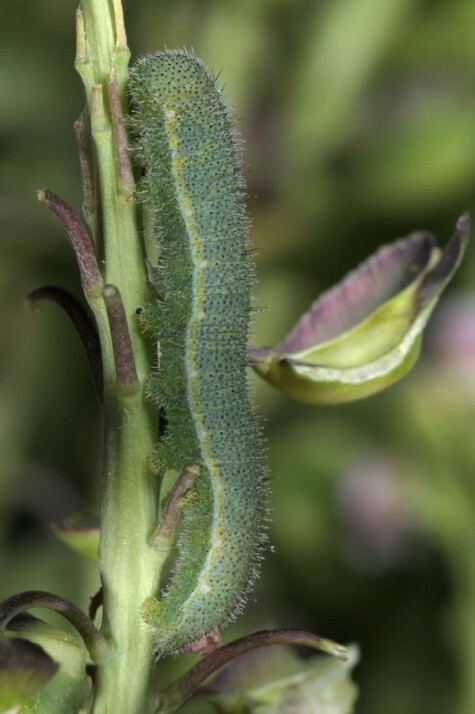 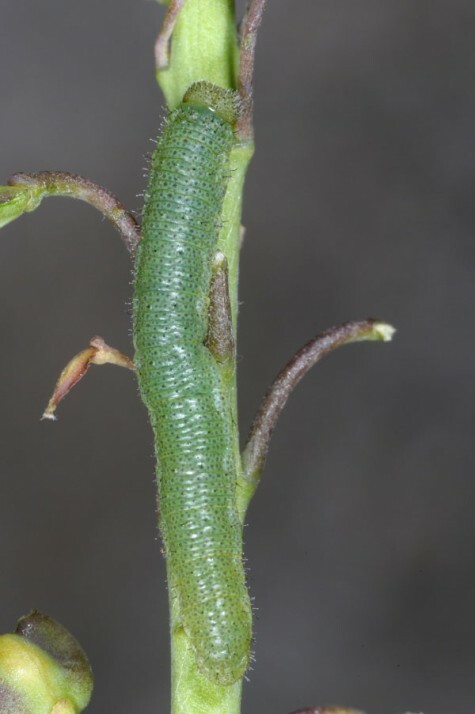 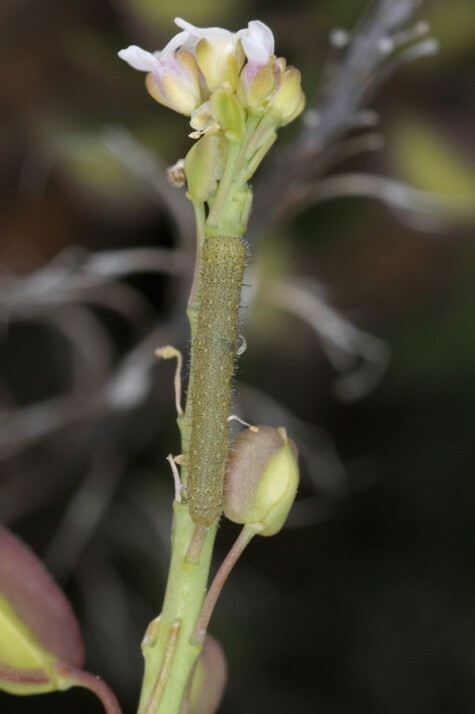 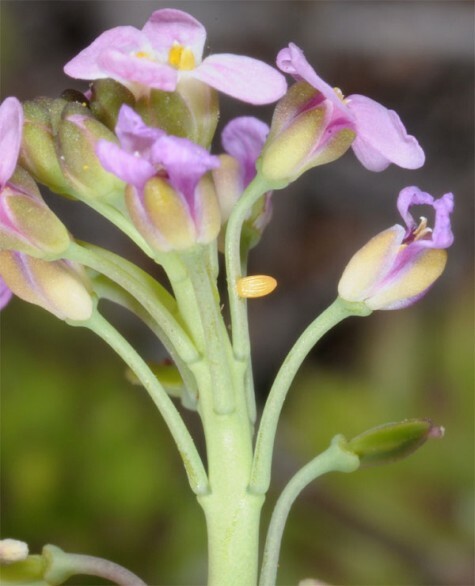 The larvae typically rest head-down in the inflorescence which is eaten from the tip. 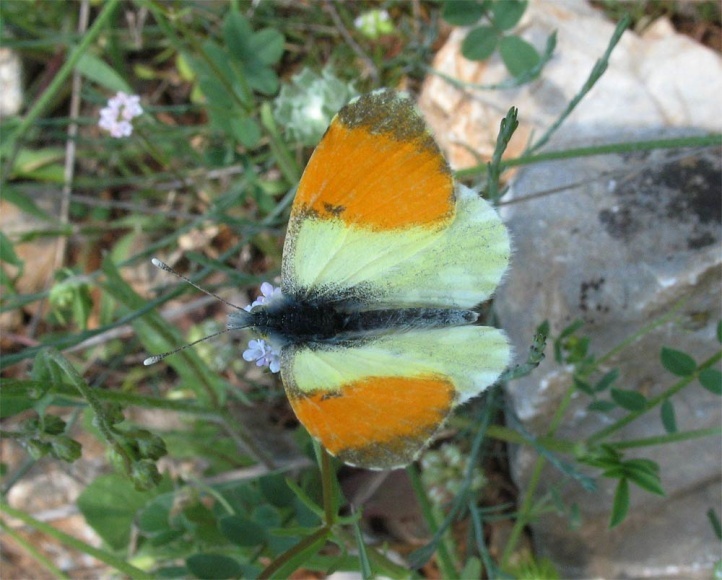 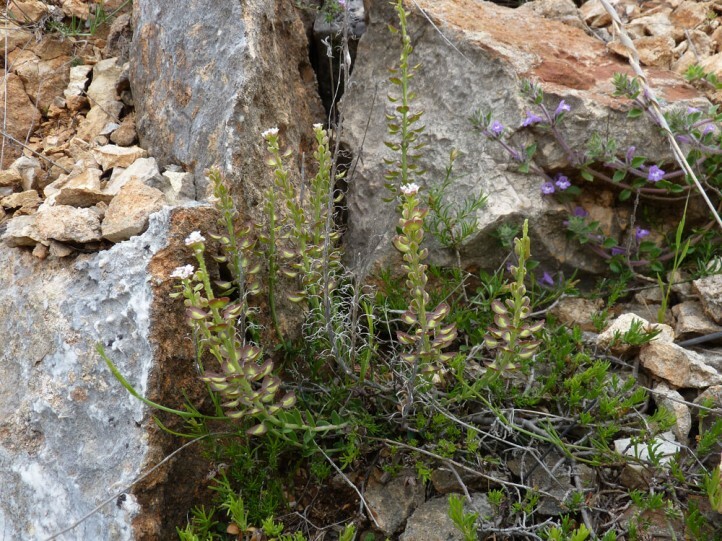 Anthocharis gruneri is distributed from Albania, Macedonia, Greece and southern Bulgaria across Turkey and Israel to Iran.